Please take a few minutes to read these terms and conditions before you order any goods or services from this Web Site. These terms and conditions govern the use of this Web Site and the purchases of any goods or services from it. Should you have any questions or wish to clarify the meaning of any of these terms and conditions, please contact Solmer LTD at info@solmer.co.uk before you order any goods or services from this Web Site. This Web Site is owned and operated by Solmer LTD (Reg. in England No: 7476128, VAT Reg. No: GB104919913). By accessing, browsing or using this Web Site, you agree to these terms, conditions and disclaimers as amended from time to time ("Terms and Conditions") and acknowledge that you have read and understood these Terms and Conditions. By purchasing any goods from this Web Site [and/or by completing the registration form to become a Registered Customer], you expressly agree to be bound by these Terms and Conditions. Solmer LTD reserves the right to amend the Terms and Conditions at any time. Any amendment will be effective immediately. Your continued use of this Web Site after any amendment constitutes an agreement by you to comply with and be bound by the amended Terms and Conditions. All information provided by you when you place an order with us is referred to in these Terms and Conditions as "User Information". When you provide any User Information you are representing and warranting that all of the information provided is true and correct and you agree to indemnify Solmer LTD for any losses, costs, expenses or damages that Solmer LTD may suffer if any of this information is not correct. You should also review the Solmer LTD' Privacy Statement on this Web Site for further information concerning our collection and usage of User Information. By sending us your User Information, you agree to grant Solmer LTD the right to disclose aspects of your User Information as expressed in the Solmer LTD Privacy Statement. If any User Information provided by you is incomplete or inaccurate or you attempt to transmit any material of any kind to this Web Site which contains a virus, malicious computer code or another harmful component or you otherwise attempt to alter any of the content of this Web Site, or you are otherwise in breach of these Terms and Conditions, Solmer LTD retains the right to terminate your rights to purchase goods or services from this Web Site and to prosecute you to the fullest extent of the law. You acknowledge and consent to the disclosure by Solmer LTD to any law enforcement agency in any jurisdiction that is investigating any breach or suspected breach of any law in any jurisdiction of your identity or other information provided by you to this Web Site, upon being requested to do so by that law enforcement agency. The goods offered for sale by Solmer LTD are only available to individuals who can make legally binding contracts. The goods are not available to persons under the age of 18 years old and any other persons who are legally prohibited from entering into binding contacts. Any party engaging in illegal activities involving the use of this Web Site will be subject to civil and criminal prosecution. Solmer LTD cannot guarantee that it will notice or be able to prevent any illegal or inappropriate use of this Web Site, nor can Solmer LTD guarantee that it will give notice of any illegal or inappropriate use of this Web Site. Any order placed by you in the manner described in this Web Site is an offer by you to purchase a particular goods for the price (including the delivery and other charges specified in this Web Site) at the time you placed your order. Solmer LTD reserves the right to accept or reject your offer for any reason, including without limitation, the unavailability of any goods, an error in the price of the goods description posted on this Web Site, or an error in your order. There may be reasons why Solmer LTD cannot fulfil your order. Therefore, your contract with Solmer LTD only comes into existence when Solmer LTD advises you by email that it has accepted your order and receipt of your payment has been confirmed. Once you place your order and full payment is made, you agree that you are not entitled to withdraw or modify your commitment made for the purchase of any goods from this Web Site for any reason, including without limitation, due to any delay in delivery. 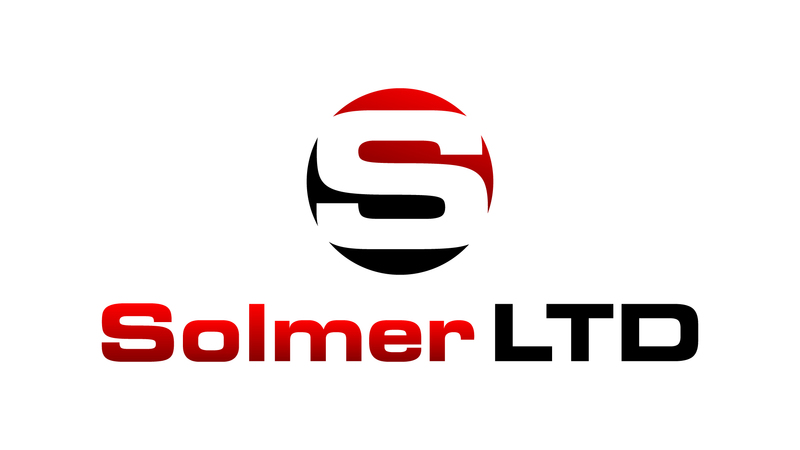 Prices of all Solmer LTD goods, delivery and other charges displayed on this Web Site are in British Pounds and are current at the time of issue, but may change at any time and are subject to availability. The availability of goods may change from time to time. You are responsible for any taxes, duties or other liabilities imposed by any government or agency, including without limitation, any customs duty, goods and services taxes or any value added tax imposed on any goods acquired or ordered by you from this Web Site. The amount, if applicable to you, of the Value Added Tax (VAT) to be imposed on any particular good is clearly displayed with the price of the good on the Web Site. You should review the Solmer LTD Delivery Information contained on this Web Site for information concerning delivery. The delivery times given in this Web Site are indicative only. Solmer LTD will not be liable for any failure to observe these delivery times. We will deliver your goods once payment has been made in full. For credit card purchases, payment in full will occur once authorisation of your credit card details is received by us. For purchases made by cheque, payment in full will occur once the cheque is cleared. You should review the Solmer LTD Return Information contained on this Web Site. You agree to be bound by the terms of the Solmer LTD Return Policy (including use of the Returns Form) and Solmer LTD' liability is limited as expressed in that policy and these Terms and Conditions. You do not need to be a Registered Customer to purchase goods from this Web Site. However, there are many benefits involved if you become a Registered Customer. Registered Customership is non transferable. Solmer LTD may terminate your Registered Customership at any time. You may terminate your Registered Customership by sending a written notice or an e-mail to info@solmer.co.uk Termination of your Registered Customership only becomes effective upon actual receipt by Solmer LTD of your notification of termination. This Web Site might contain hyperlinks and other pointers to Internet Web Sites operated by third parties. These linked Web Sites are not under the control of Solmer LTD, and Solmer LTD is not responsible for the contents of any linked Web Site or any hyperlink contained in a link to a Web Site. Solmer LTD provides these hyperlinks to you as a convenience only, and the inclusion of any link does not imply any endorsement of the linked Web Site or its contents by Solmer LTD. Your use of any link to another Web Site is entirely at your own risk. This Web Site also might contain third party advertisements which may contain embedded hyperlinks or which include referral buttons to Web Sites operated by third parties or their licensees or contractors. All third party advertising including referral buttons and embedded hyperlinks is paid for by the relevant third party advertisers and are not recommendations or endorsements by Solmer LTD or its respective directors, employees, agents or representatives. Please refer to the relevant advertiser for all information regarding the advertiser and its products and/or services. The information contained in this Web Site is provided by Solmer LTD in good faith on an "as is" basis. The information is believed to be accurate and current at the date the information was placed at on this Web Site. Except as provided by the non-excludable rights, Solmer LTD itself, nor any of its directors, employees, agents or representatives makes any representation or warranty as to the reliability, accuracy or completeness of the information contained on this Web Site and none of them except any responsibility arising in any way (including negligence) for errors in, or omissions from, the information contained on this Web Site. Solmer LTD makes no warranty that the Web Site or any goods advertised on the Web Site will meet your requirements, or that the Web Site will be uninterrupted or error free. Information on this Web Site relating to goods and services has been prepared in accordance with British law for the supply of goods and services in UK only. This information may not satisfy the law of any other country. To the extent that it does not satisfy the laws of the country in which you reside or from which you are accessing this Web Site, it is not directed at you and cannot be relied upon by you and you are unable to order any goods from this site. If you do, you agree to indemnify Solmer LTD for any losses, costs, expenses or damages Solmer LTD may suffer as a consequence. Solmer LTD will in no way be liable for any indirect, incidental, special or consequential damages, resulting from your use or your inability to use this Web Site, or for the cost of procurement of substitute goods or services, or resulting from any services purchased or obtained or of any information contained on this Web Site, including but not limited to damages for loss of profits, use, data or other intangible, even if Solmer LTD has been advised of the possibility of such damages. You waive, release, forgive, discharge and relinquish any or all claims that you now have or may have against Solmer LTD, its directors, employees, agents and representatives which are connected with, arise out of, relate to, or are incidental to any transaction. You agree to indemnify Solmer LTD, its directors, employees, agents and representatives harmless from and against any and all claims, loss, damage, tax, liability and/or expense that may be incurred by Solmer LTD, its directors, employees, agents and representatives arising out of or in connection with the performance of its duty as described in the Terms and Conditions including any legal costs, fees and expenses of defending itself against any claim by any or all of the parties to any transaction and/or by any other person and/or as a result of you taking any action or refraining from taking any action or instituting or defending any action or legal proceeding. You further agree to indemnify Solmer LTD, its directors, employees, agents and representatives from any claim or demand, including reasonable legal costs, made by any third parties due to or arising out of your use of this Web Site, any breach of these Terms and Conditions by you, or the infringement by you, or other user of this Web Site using your password, or any intellectual property or other right of any person or entity. Your ability to purchase goods and services from this Web Site may be terminated at any time by Solmer LTD without notice. All restrictions, disclaimers and limitations of liability by Solmer LTD in these Terms and Conditions will survive termination. if applicable, notify Solmer LTD by email to terminate your Registered Customership. There are accepted codes of conduct in the banking industry regarding your liability for fraudulent charges arising from unauthorised use of your credit card. In the event of unauthorised use of your credit card, you must notify your credit card provider in accordance with its reporting rules and procedures. Once you become a Registered Customer, you will have your own password. You are entirely responsible for the protection and security of your password. Furthermore, you are entirely responsible for any activities which occur under your e-mail address and your password. You agree to immediately notify Solmer LTD of any unauthorised use of your e-mail address or password or any other breach of security that you may become aware of. Unless otherwise indicated, copyright in all information and other materials on this Web Site is owned by Solmer LTD. All rights are reserved. This Web Site or any portion of the Web Site may not be reproduced, duplicated, copy, sold, resold or otherwise exploited for any commercial purpose that is not expressly permitted by Solmer LTD. You may download a single copy of the information on this Web Site to use it as a reference, and you may also keep a temporary copy in your computer cache and make a single hard copy of that information only. Except as permitted under the Copyright, Designs and Patents Act 1988 or other applicable laws, no part of the information contained on this Web Site may be otherwise reproduced, adapted, performed in public or transmitted in any form by any process (including all forms of communications to the public) without the specific prior written consent of Solmer LTD.
All other trade marks that may be displayed on this Web Site are trade marks of the respective owners. Nothing contained on this Web Site should be construed as granting any license or right of use of any trade mark displayed on the site without the express written permission of Solmer LTD, or the relevant third party owner. These trade marks may be available to you to place on your Web Site as a hyperlink to this Web Site, but only if you obtain the express written permission of Solmer LTD. These Terms and Conditions are governed by and are to be construed in accordance with the laws of United Kingdom. You irrevocably and unconditionally submit to the non-exclusive jurisdiction of the Courts of United Kingdom. If any provision of these Terms and Conditions are found to be invalid or unenforceable by a Court of law, such invalidity or unenforceability will not affect the remainder of the Terms and Conditions which will continue in full force and effect.